Hi there, MadCap Community! We are thrilled to announce the release of MadCap Flare 2018 r2, which includes source control enhancements, additional security options for HTML targets, and a new secure binding option with MadCap Central. If you are integrating your Flare project with Git source control, you can now merge branches and revert commits you have made in branches within the Flare UI. In previous versions of Flare you could merge individual files bound in Git. 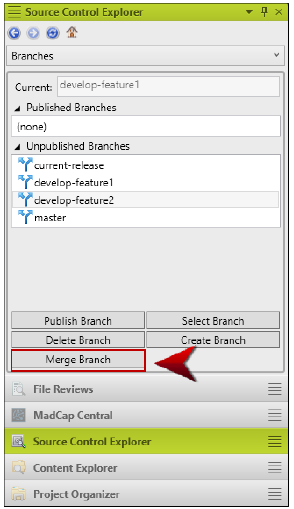 Now you can merge Git branches as well, from the Flare UI. 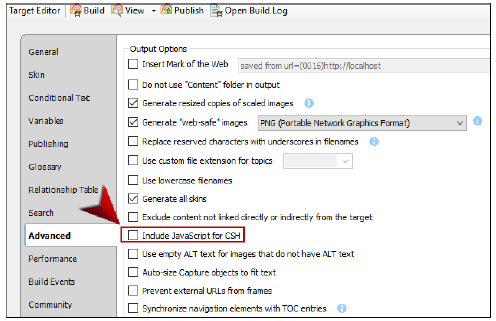 After using one of these options, the Select branch to merge dialog is displayed. Select the Git branch you wish to merge into the active branch. After you click OK, Flare will then confirm that the merge has been completed. In this new release of Flare, you can revert any commits you make in a Git branch. But first, what is a revert? It is a type of commit that undoes a prior commit in your branch. You may need to revert a commit when those changes are no longer needed. For example, this can come in handy if you have checked in changes for a new feature that has been removed for an upcoming release. If other writers are making changes on the same branch, any reverted commits will be picked up the next time they do a pull on that branch. Keep in mind that reverting commits will remove a part of your branch history. Select the row that contains the commit you want to back out. Flare will then confirm the changes, and the revert is done! Additionally, Flare 2018 r2 updated the version of jQuery used for HTML5 to 3.3.1. 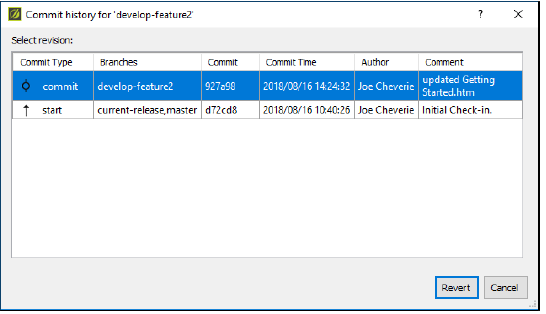 Finally, you have a couple of new options when binding your Flare projects in MadCap Central, which includes binding new projects or importing existing projects from MadCap Central using SSH or HTTPS. SSH, also referred to as “Secure Shell,” lets you communicate remotely and securely between computers. The HTTPS protocol is a more secure version of the standard HTTP protocol used to send data over the web. 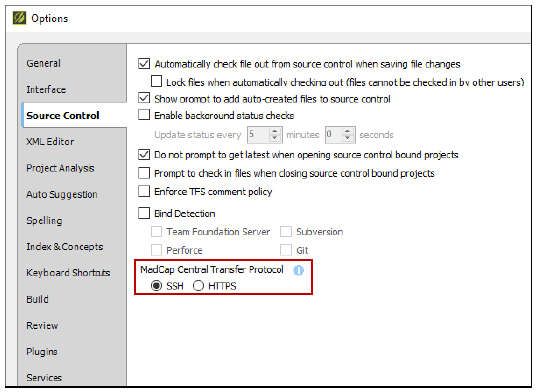 Some companies might prefer HTTPS, but SSH could be necessary for binding especially large projects to MadCap Central. The transfer protocol that you select will affect both new project bindings, as well as existing projects imported from MadCap Central. Keep in mind that these transfer protocols are not applied to projects that are already bound. For more information about all of these new features, see the What’s New topic in the online Help. Our free trials are fully functional, allowing you to deploy and test the product without any limitations. And in addition to free technical support during the trial, you can also access the recorded Flare Introductory Training Course, taught by MAD Certified instructors. The in-depth six hour training course introduces the core features of Flare, includes a full course outline and can be viewed at your own pace. We hope you enjoy the newest release of MadCap Flare 2018 r2! If you have any questions, feel free to reach out at jmorse@madcapsoftware.com.